Dr. Warren Loeppky's training includes a DMD (with Distinction) from the University of Saskatchewan, followed by a residency in Pediatric Dentistry and a Master of Science in Pediatric Dentistry at the University of Toronto. He has RCDC fellowship certification in Pediatric Dentistry and is a Diplomate of the American Board of Pediatric Dentistry. He joined the Division of Pediatric Surgery at the Alberta Children’s Hospital in 2005, received an appointment as a part-time staff dentist at the Dental Clinic and has served as Site Division Chief of Pediatric Dentistry. Dr. Loeppky is currently President of the Alberta Academy of Pediatric Dentistry and Immediate Past-President of The Canadian Academy of Pediatric Dentistry. 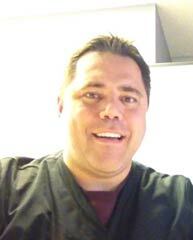 He is an examiner in pediatric dentistry for The Royal College of Dentists of Canada and has also served on numerous Alberta Health Services - Calgary Zone and national committees, including the Surgical Executive Committee and Operating Room Committee at the Alberta Children’s Hospital. Dr. Loeppky is also the founder of the Calgary Pediatric Dentistry Journal Club and remains active in research, including several publications in peer-reviewed journals.